Small church, black tux, white dress, & red flowers makes this a "traditional wedding." Will you keep wedding traditions or have your wedding your way? 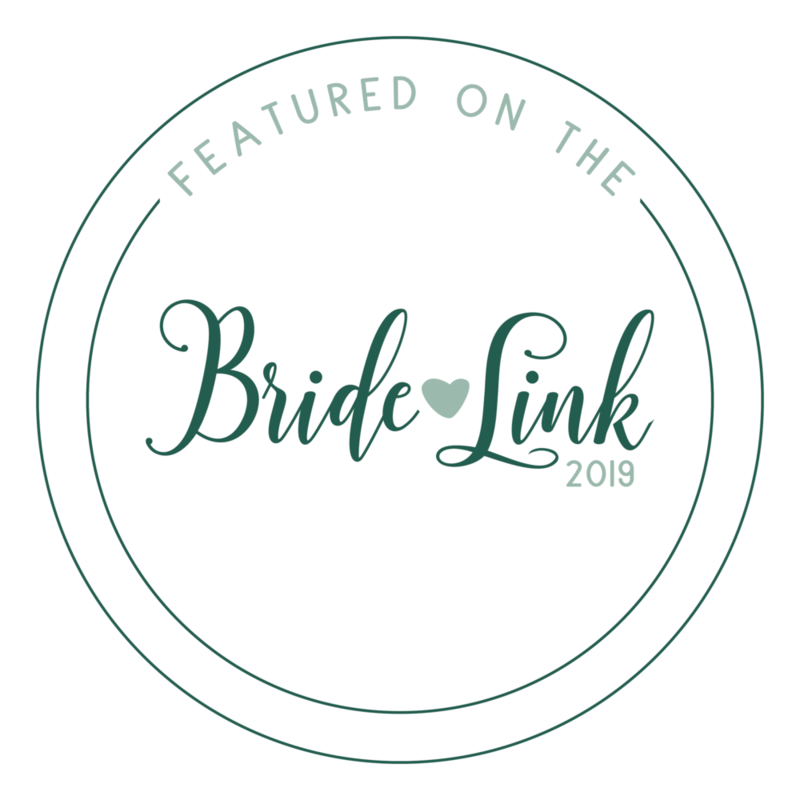 With all the info we have at our fingertips it’s no wonder we can’t choose for ourselves and often rely on traditions for planning our wedding. Most brides have very clear ideas on some portions of their wedding, but don’t know where to start for other parts. So we decided to weigh in. First and foremost, this is YOUR wedding so you should have it the way you want. Don’t get bullied into what others may think or say. Who cares? Don’t invite those people. That being said, there are still many traditions that are still relevant while others not so much. White or almost white dress is a tradition that is still very popular. Let’s look at a couple big ones. First, white dress or off-white? Do you know where this started? While it’s not the first time, Queen Victoria had her dress made from her personal collection of white lace in 1840. Her image was widely publicized in time when imagery was rare. Before her, the most common color worn was green to signify fertility. Having offspring was very necessary and grooms demanded it in those days. But did you know Mary, Queen of Scots, wore white when she married a Frenchman, Francis Dauphin? Bad choice. At that time, white was the coloring of mourning for the French. Whoops. Timeless black tux is still impressive. The formal tuxedo became popular in the 1880s for New York trendsetters who visited Tuxedo Park, a Hudson Valley resort for the wealthy. 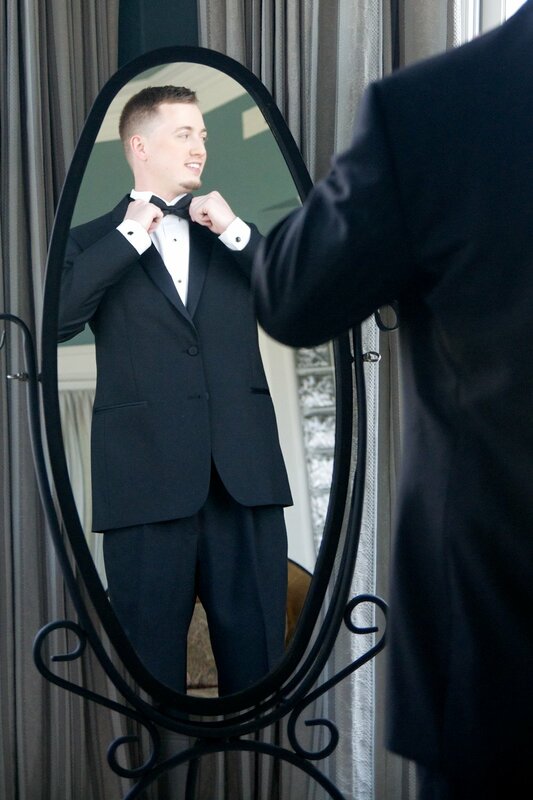 Soon the black and white bowtie, dinner jacket, trousers combo became regarded as “black tie” attire and weddings were one of the occasions considered “black tie” so the tradition was set. Fragrant flowers keep the groom happy! Flowers have become a big deal at weddings. Multiple bouquets for the bride and her entourage are the norm. Boutonnières for the gent’s lapels are expected. Just as are floral centerpieces for the tables are expected. Know how that started? Stinky people. That’s right; brides carried a fragrant bouquet to mask their body odor. We didn’t always have plumbing, toilets and bath facilities. So brides gathered a bunch of flowers and kept them front & center, right under the groom’s nose, to insure a more pleasing ceremony. First Look is always romantic! Another great tradition is the couple not seeing one another before the ceremony. This tradition is steeped in dignity, pride and economics. Many times weddings were the joining of farms, businesses or families for reasons beyond love - mostly power and money. The children to be wed were never allowed to see one another as it may undo years or decades of delicate planning. And that’s when marriages became legal too. Yep, you guessed it – legal and binding in the laws of the land. So once the documents were signed before the ceremony, the stage was set for the couple to see one another. And that’s why it’s considered “bad luck” to see the bride before the ceremony. Getting carried across the threshold is a time tested tradition too! So you see, these are just a few of the traditions that still carry on today. Some we honor more often than others. But traditions started out as someone’s great idea that caught on. And often traditions today are excuses to not do your own thing. And with all that goes into a wedding, sometimes you simply need to not re-invent a really god idea that works for you. So when you begin to dream, plan and let your mind create perfect little scenarios for your wedding, don’t get hemmed in by a tradition that does not work for you. We recommend choosing your own way; do what makes sense to you, your fiancé, your families and friends. Make the celebration an extension of you. 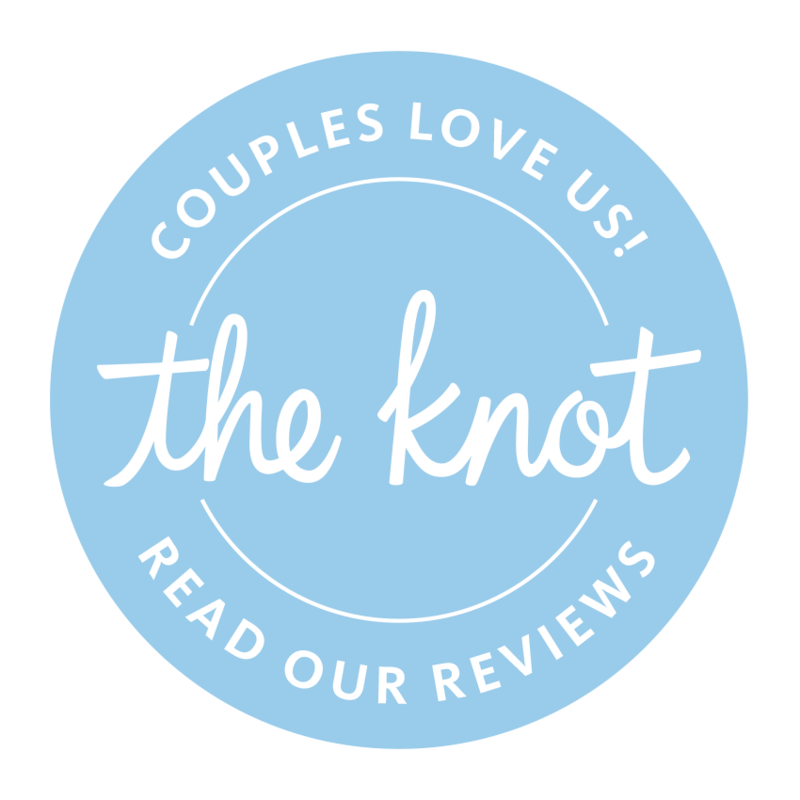 And as always, we are dedicated to helping couples everywhere have the best wedding day possible. Let us know if we can help you in any way. We are only a text, email or phone call away.